One man’s problem is another man’s treasure. The same can be said when the concept of landscaping a steep slope. These slopes in your gardens present a landscaping challenge. 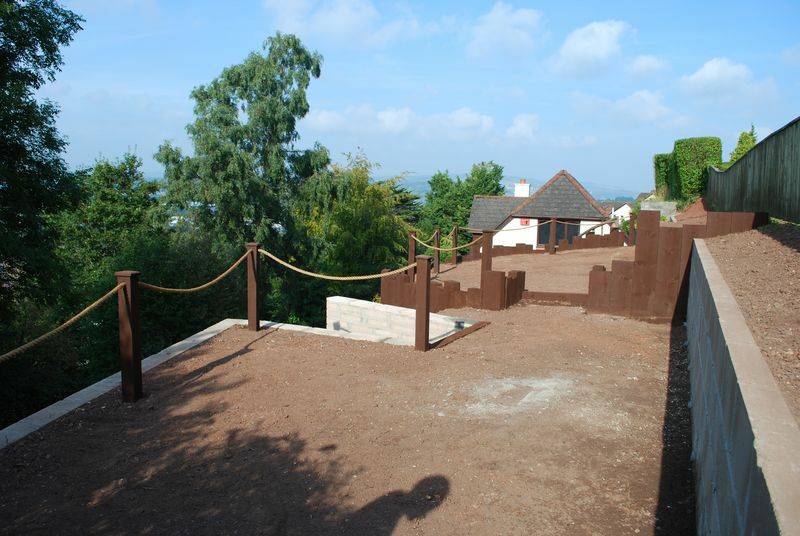 With land and space at a premium, we at Jackson’s Landscape Design, Newton Abbot, Devon, believe it is imperative to utilise the entire area of your garden, after all it is the largest room within your property. 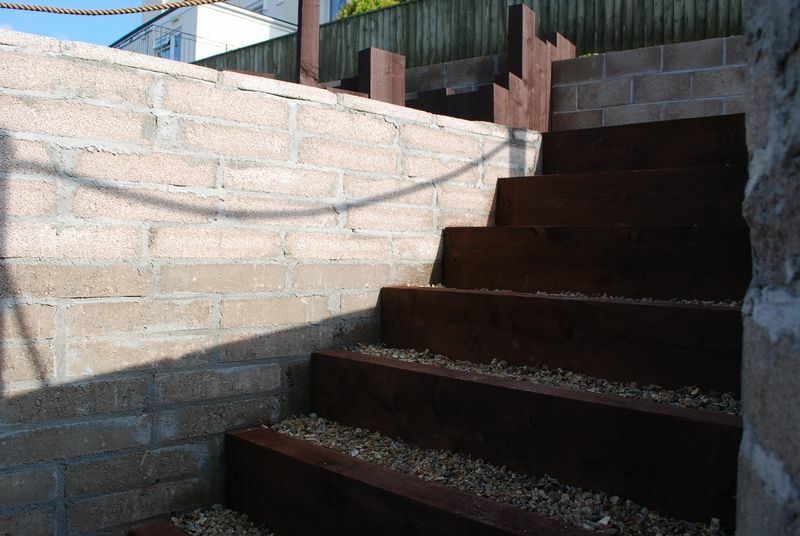 If you have a slope in your garden it is not impossible to apply durable landscaping to level the area or even tier with steps, granted it is difficult at times but I enjoy the challenge and appreciate the Garden design and build projects we undertake once the slope correction project is complete……It just makes landscaping feel easier after a slope correction where all materials and tools are manually lifted up to required areas. 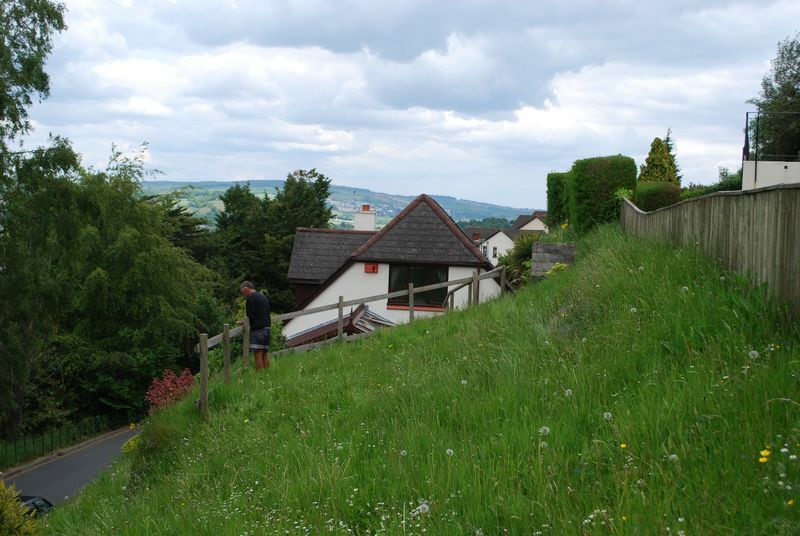 Should your property have been built on a slight slope where the gradient is just that little bit to much to be able to control your lawn mower or you feel slightly on edge to work on the slope whilst planting your new ground covering Juniper blue carpet, or even weeding. Your garden may have an area or the entire garden can only be entered with a climb up the hill / steep slope, this can only be a complete headache for you, I firmly believe that all gardens are usable what ever the size, shape or gradient……..with correct planning, design and 32 years of landscaping knowledge, we at Jackson’s Landscape Design are competent and confident to tackle slope corrections for the counties of Devon, Cornwall, Dorset, Avon, Wiltshire and UK. 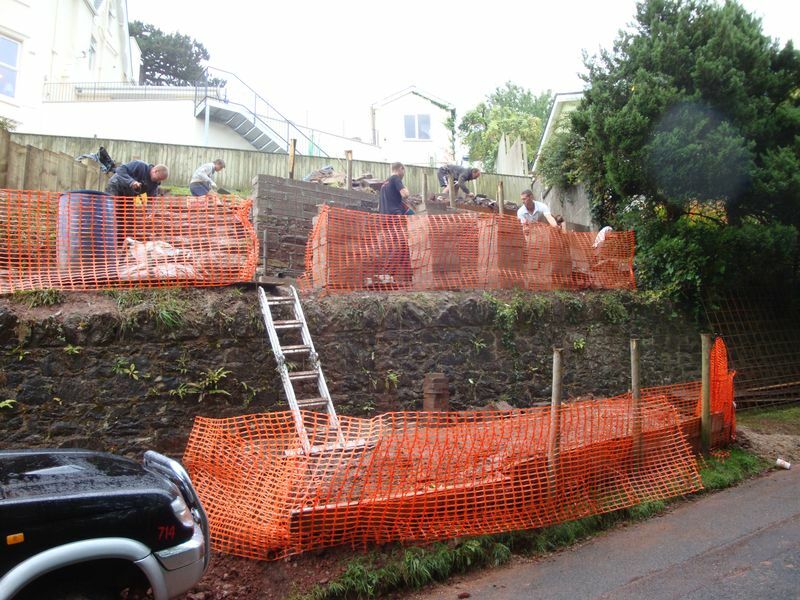 Where ever possible heavy lifting machinery, concrete pumps and mini diggers will be used to assist in the landscaping process of steep slope corrections, however there are gardens that have no access for any form of mechanical equipment what so ever….. If, when your gradient project is being surveyed for a bespoke, hopefully contemporary, garden design and noted that the is no access all is not lost. 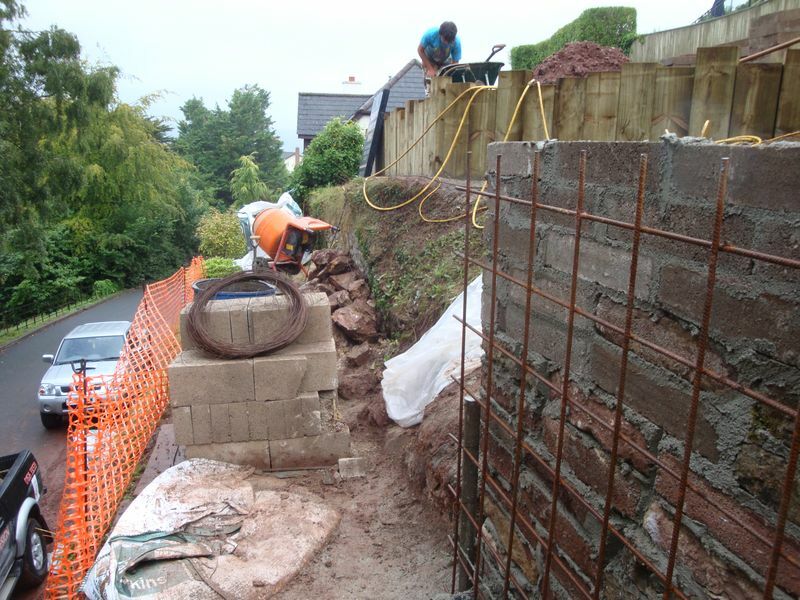 We have no problems with hand digging huge trenches to house the concrete ring beam foundations, with kickers, starters bars , spliced A393 mesh, concrete cavity filled double skinned walling, pea gravel and membrane wrapped filter systems with weep holes at 500mm centers, we also mix and carry all material up to the required position. You’ll be advised that this works procedure is time consuming and labour intensive. To me sloping gardens are huge potentials just waiting to be brought to life with my imagination and keen eye for design Iam able to create and design a levelled garden for you to enjoy with family and friends for many years to come. Slope correction is also an investment. Moderate Slope. Slopes from 1-foot vertical to 4 feet horizontal (25%) to 1 foot vertical on 3 feet horizontal (33%). Steep Slope. Slopes from 1 foot vertical to 3 feet horizontal (33%) to 1 foot vertical on 2 feet horizontal (50%). Severe Slope. Slopes 1 foot vertical to 2 feet horizontal (50%) and steeper. The images shown are of stage 1, stage 2 to commence 2011. Softwood Decking Slippery Devon? Don’t fall again! !